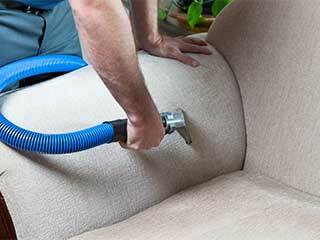 Count On Us For The Best Upholstery Cleaning Services In Houston! As a duct & attic cleaning company, we get to witness the damages that dust and water cause all too often and in many variations. And so, we offer several services that are designed to restore and fix the damaged things, items and areas. One of these services is upholstery cleaning. Here you can find information about it and when it can help you. Furniture doesn’t come cheap, with prices starting from a couple of hundred dollars and rising. Vintage and antique furniture can even cost thousands of dollars apiece if not more than that. That’s why a lot of times when a furniture upholstery has worn off or gotten damaged, a lot of people have it fixed by replacing the upholstery with a new one. But replacing it isn’t always the most appropriate solution, as sometimes it can simply be cleaned – it looks great all over again and you save quite a few bucks along the way. There are several cases in which cleaning services might save the upholstery and make you feel you're enjoying a brand new piece of furniture relying on our fully equipped technicians who have the best gear and industry-grade detergents in the business. Sometimes, however, the damage will be beyond repair. Here are a few common examples of damages and explanation whether they can be treated or not. • Fire – if the upholstery gets burnt or scorched by fire it will be hard and most likely next to impossible to save it, so you'll probably have to have it replaced, but in case it only gets some soot on it, cleaning services can be effective. • Water – if the upholstery got soaked with water, but it wasn't left standing in it for a long time, it can probably be cleaned by drying it thoroughly and then airing it. If it was left for a long period of time it should be examined for damages or infections of mold or fungus. If infected, it can still be cleaned but it will require stronger means. • Cleaning products – sometimes when people try cleaning upholstery on their own, they use products that may cause damage instead of yielding the desired results. In some cases, it can be reversible. A specific examination of the damage is required to determine whether it can be cleaned or not. • Human Error – infants vomit, beverage and food spill and other unwelcome surprises happen. Such cases have to be examined individually to determine if cleaning is an option. When you call for our upholstery cleaning services, at Duct & Attic Cleaning Experts, our technicians will examine the damage and will inform you what and if anything can be done in order to restore it to its original state. For more information contact us anytime. Does cleaning upholstery with baking soda really work? Baking Soda, a.k.a sodium bicarbonate, is a natural substance that can be used for cleaning and deodorizing almost everything in the house, including your sofa. If you want, you can mix it with a bit of dry carpet cleaner for additional strength and fresh smell. Be sure to vacuum everything with the brush attachment afterwards. The baking soda will help eliminate bad odors to a degree, and can remove very light stains. However, for more persistent stains and odors, professional services are advised.